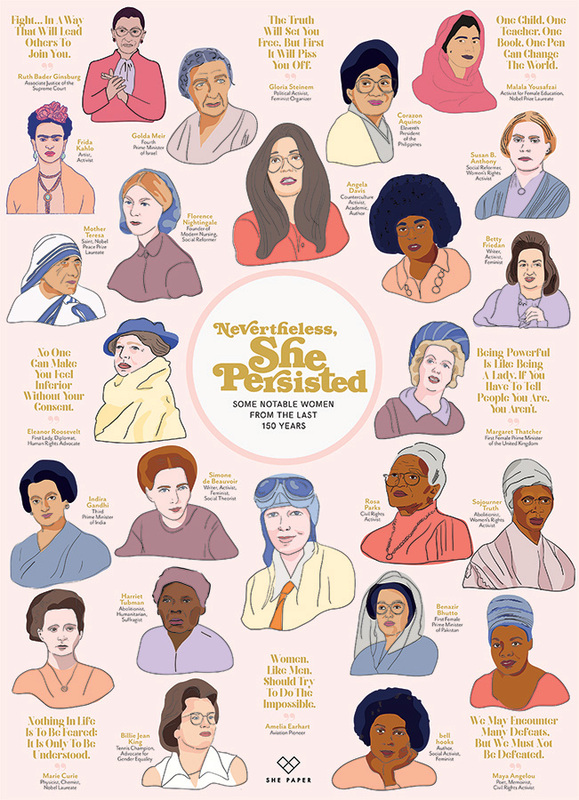 Nevertheless She Persisted is a wonderful celebration of notable women from the last 150 years. We hope that you enjoy this elegant 1000 piece puzzle. The art work is from She Paper, a Brooklyn based company that creates thoughtful products for women, by women. She paper was founded with the simple belief that strong women deserve to be celebrated. Visit the website to see their bold colourful illustrations. Item # 80158 Weight 1.61 lbs.